This entry was posted in Fireplaces on April 12, 2018 by The Original Flame Author. A woman in her 60’s, who was on her own & wanted to learn more about buying a fireplace for her home dropped in. We spent about half an hour walking through the showroom, talking about the different fuel options as well as the difference between a fireplace and a free standing stove look. She seemed to relax and open up a little as we walked around. My being a woman seemed to put her at ease and she asked many probing questions. 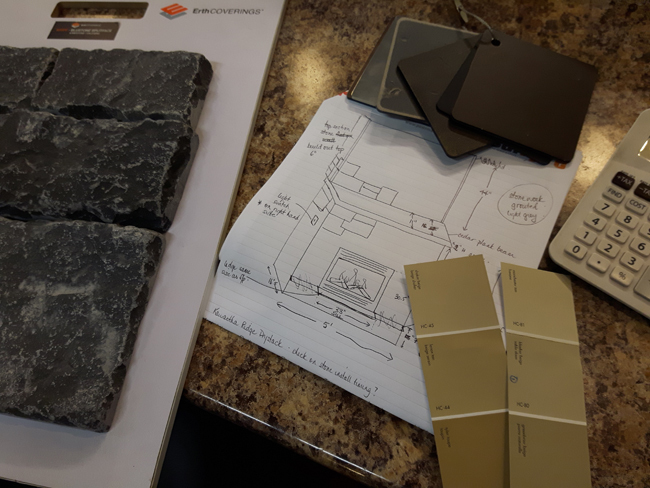 Together we narrowed down her options and figured out what gas fireplace would work best for her particular situation. She left and I didn’t see her for a while. Buying a fireplace is a big decision and people like to mull this information over. A few months later she came back in and I recognized her immediately and welcomed her back. We again walked around the showroom looking at different displays to see which styles appealed to her and how she wanted to build the fireplace in. 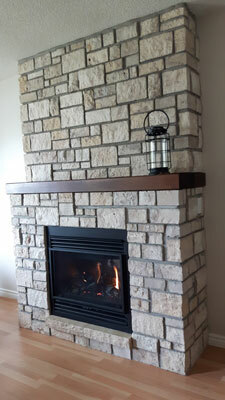 She really liked the look of a stone fireplace surround. I invited her to sit at our showroom kitchen table to continue our discussion. I chose to have a kitchen table in the showroom because it creates a comfortable intimate space. After all, the kitchen table is where important decisions are made! As we sat at the table talking she opened up to me about her two brothers who were both dying of cancer. I shared that I had gone through a great loss the year before, losing my mother, father-in-law, a couple of uncles and some friends. I explained that as a result of that devastating year I got involved with Hospice Peterborough and that our company actively supports Hospice with ongoing fundraising. I talked about the comfort of my fireplace and how the fire speaks to your soul. I also gave her a contact at Hospice so that she could talk with a counselor about what she was going through. As she talked about her living room area, I started to sketch some ideas. 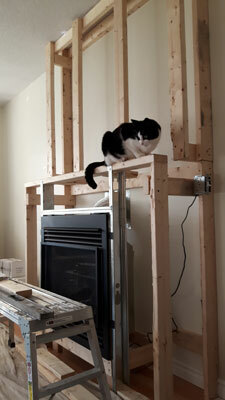 After we did some adjustments, she could really visualize the fireplace taking shape in her own home. I explained the different steps, how it would all come together and the timeline for completion. She decided then & there to trust our company and move forward with the purchase. She said she was excited and I felt excited for her! When the job was completed she came into the store to pay her balance. As we once again sat at the kitchen table she expressed her gratitude, offered compliments on the care and cleanliness of our installers. Proudly she showed me pictures of her new living room fireplace with a floor to ceiling stone finish that looked like it had always been there. She told me she was heading out West to spend some time with her brothers before the end. My journey with this woman is something I do with any client that walks into my store. I believe sales is more than selling a product, it is about building a relationship, a human connection; this is what motivates and excites me every day.